In the following interview, Kathie Lea, REALTOR® with RE/MAX Realtec Group, Inc. in Palm Harbor, Fla., discusses lead sources, managing a team, profit strategies and more. Region Served: Tampa Bay, Fla. Teams continue to be on the rise, and in some areas, most transactions are initiated through a team leader or a member of the team. Can you talk about what’s driving this? While I’ve had a team for eight years now, the decision to form a team ultimately boiled down to the fact that teams are always outproducing those real estate professionals working as single agents. 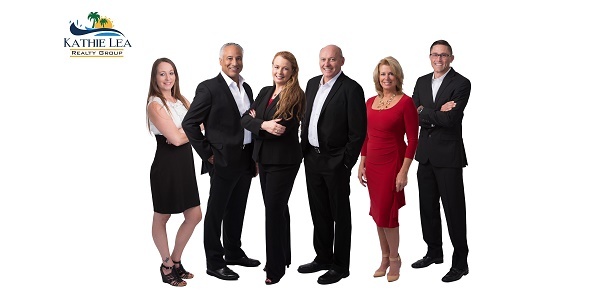 That being said, I started the team concept here at RE/MAX Realtec Group, Inc. with the idea that we could bring more to the table, and we’ve been able to do just that by bringing together a group of individuals who all specialize in different areas. In addition to recently hiring a millennial to join the team, one gentleman has his mortgage broker license, and another deals strictly with commercial properties. This provides a higher level of expertise since we can match clients with the correct team member. Teams are also instrumental from a service standpoint. When I’m away from the office, I can rest assured that my clients will never miss a beat, as there are always other team members who can step in and help. Having a team also allows us to work with a wide variety of clients since we’re in tune with what’s happening within different markets. How are you generating new business in an industry where success largely comes from reputation, word of mouth and past customers? When it comes to growth, I began growing my team with internet leads. While my business right now is mostly buyers (something I anticipate shifting as we head toward the future), it’s worked out great for me as I’ve been able to build my team on this one facet. As far as generating new business, we do all the standard stuff: Facebook ads, pay-per-click, Zillow, realtor.com®, etc. You mentioned that you work with a variety of online lead sources, including realtor.com. Which ones are you having success with, and why? I’ve tried all of them over the years, but I have to say that realtor.com provides us with the best leads. For whatever reason, the buyers that come from realtor.com seem to be ready to transact, in addition to being more educated. While other online lead sources offer the bells and whistles, more often than not, prospective buyers typically conduct research on those sites before moving over to realtor.com when they’re ready to buy. I’ve been working with realtor.com for about 10 years now, and I’ve been able to successfully build my team off the leads I’ve received from them. Are online leads something the agents on your team dread, or are they glad to get them? They’re absolutely glad to get them. While online leads are a whole different animal, it’s critical that they’re treated like every other buyer, and the members of my team have been very well trained in this respect. Not only are they involved in coaching programs; they’ve also mastered the art of lead conversion. If you want to successfully work with online leads, you have to be trained, as well as committed to making calls. How much of your team’s business is derived from these leads? Looking back at our 2017 numbers, we got about 75 percent of our buyer business from realtor.com last year. If someone is considering starting a team with the business being driven by online leads, what recommendations would you make? We worked hard to learn our craft in terms of converting online leads. In fact, looking back on this past year, there were 9,000 agents in the area in which we work, and out of those, we were No. 3 in closed buyer transactions. To that end, there are three things I recommend for those looking to start a team and drive business through online leads: First, you must invest in a good follow-up program. When working with online leads, you have to be willing to go all-in. In much the same way as you would approach mailings or farming specific neighborhoods, you can’t expect to do something once or twice and get results. Instead, you have to be willing to spend the money while committing to doing it. It’s also important to have a good CRM. While a lot of these buyers are 12-24 months out, they’re simply using the internet to search for properties, so they’re not going to answer the phone. This makes it critical that you stay in front of them so that they call you when they’re ready to make a move. And last, but not least, you have to know your numbers. If you’re not prepared, you can’t make educated decisions, and the last thing you want to do is throw something out there and expect the best.